DJ Suketu’s RD Burman Tribute album at a never before price! Get grooving in the new year with the album DJ SUKETU & FRIENDS PRESENT RD BURMAN REINVENTED at a great price in India at just Rs. 110/- from the iTunes store! 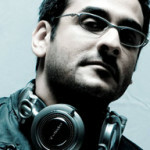 DJ SUKETU to judge Channel V’s IndiaFest DJ Competition!